Audi seems all determined to improve its lineup by introducing new design and powerful engines. 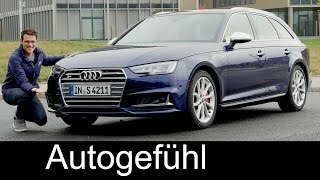 In lieu to same they have recently unwrapped the powerful Audi S4 Avant 2017. The model comes with a new face and a powerful engine beneath its hood. With the RS4 and the A4 the model has impeccably rolled the automotive world. 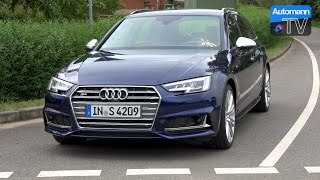 Let us have a look at the review of Audi S4 Avant 2017 to know in detail about it. The interior of Audi S4 Avant 2017 carries its clues from its A4 sibling. It has a clean dashboard in front of the comfortable seats. The repositioned center console and the 8.3 inch color display further add to the driving experience. The cabin is roomier in comparison the predecessors. Talking about the infotainment system, the model gets all new MMI system that features LTE Connectivity, WiFi, navigation and free text search function. The arena gets the blend of color-adjustable lighting to sooth you throughout your long drives. Talking about entertainment there’s an option to load Bang and Olufsen sound system and a tablet for rear passengers. 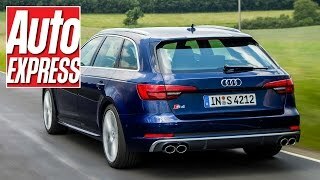 Thus rounding up the interior details of Audi S4 Avant 2017 I would call the model an impeccable work of architecture and design. Just like the interior, exterior of Audi S4 Avant 2017 is based upon the A4. Starting with the face, it has a redesigned grille amidst the LED headlights. The bottom section revised side intakes and subtle creases that make it look sportier. Moving towards the rear fascia, along the sides you’ll notice newly designed side skirts and mirror caps featuring aluminum looks. At the rear end things get commendable blend of sportier and elegant appearance. The twin exhaust pipes come in a pair while the trunk lid spoiler gets a larger stance. 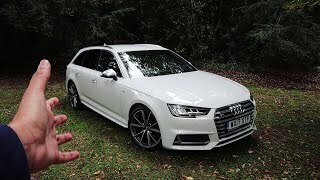 Thus rounding up the exterior details of Audi S4 Avant 2017 I would say the model is worth all the pennies with its looks and the new 18” rollers. 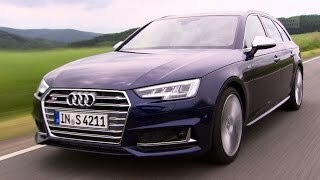 Powering the Audi S4 Avant 2017 is a 3.0 liter TFSI V6 engine generating total output of 354 hp and peak torque of 500 nm paired to eight-speed automatic transmission. With this the model can sprint from 0-62 mph in just 4.7 seconds in comparison to the previous figure of 4.9 seconds while the top speed of Audi S4 Avant 2017 touches the mark of 155.3 mph.